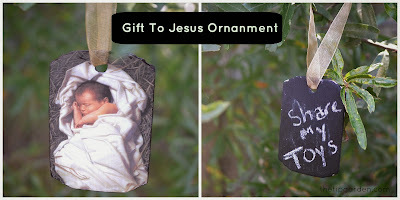 Sometimes you need some quick and easy ideas for ornaments or gifts for the holidays for giving . Here are a few ideas that are perfect for coworkers, youth groups, party favors, craft bazaars, a craft day with friends, or just for yourself! 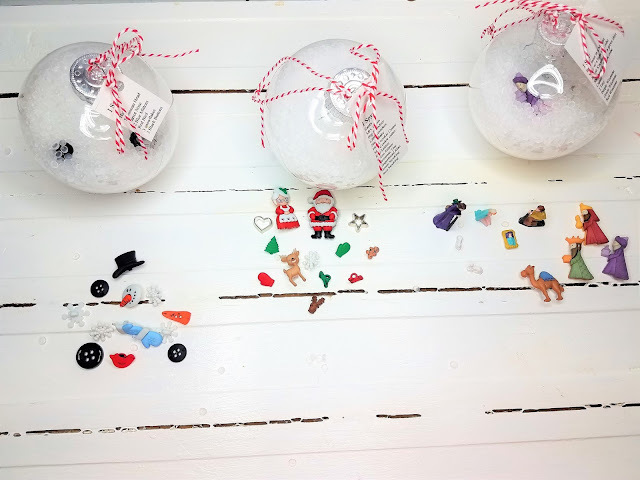 These fun ornaments are great for kids of all ages! I actually prefer to buy supplies for these after the holidays while Christmas items are on clearance for 75% off. You can buy all sorts of small miniature items for fillers at cheap! Trust me when I tell you, if you start this project, you'll end of with requests for more, so you'll make more than you planned on! people love them! The sky's the limit on what you can do with these! Grab four 2 inch blocks for this project. you can buy online or at your local craft store. and then .. head on over and I'll show you how to pull these together! If you haven't made this classic yet, you must do it! I use these for a package tie on to my presents! I use a lot of more old fashioned brown kraft paper style Christmas wraps with red/ white gingham, plaids, green ric-rac ribbons. fresh holly and pine cone for tie ons so these little cinnamon Ornaments are perfect! Grab a brand new paint can from the hardware store and fill it with holiday cheer! 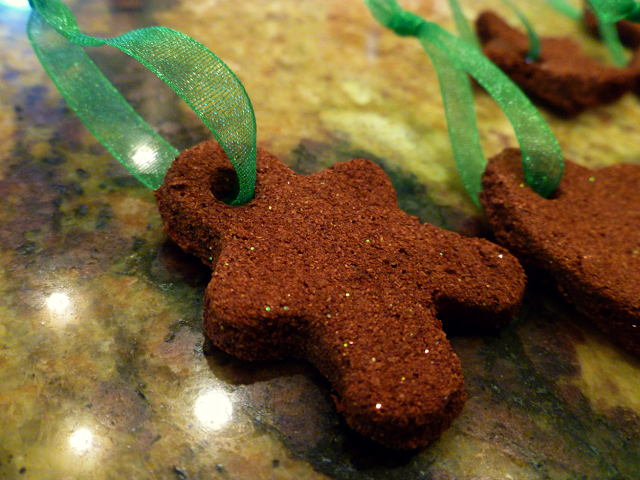 cookie mix, cookie cutters, hot cocoa mix, wassail mix, a cute homemade ornament! and deliver the holidays all tucked in a cute paint can! 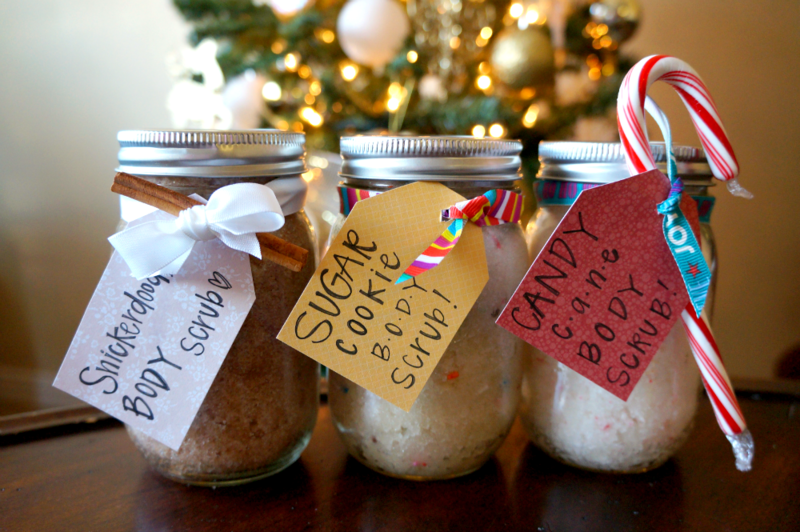 a quick , easy and thoughtful gift they will love to receive! 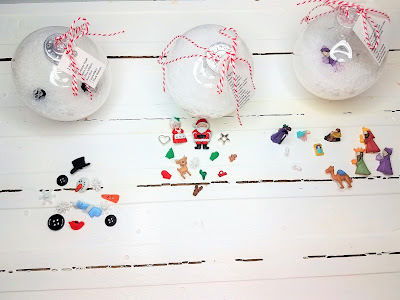 These cute ornaments are a fun craft to make with friends, or give to coworkers! They don't cost very much and use recycled bag filler, and soda can pop tops! Just grab some black ribbon trim to go with and you're almost there! This ornament is an interactive one, where you create a chalk board side on the back side so the recipient can write a "gift" they want to give to Jesus for the coming year, such as being more kind, Study more, etc. the front side is a photo of the baby Jesus. Each year they can change their gift. 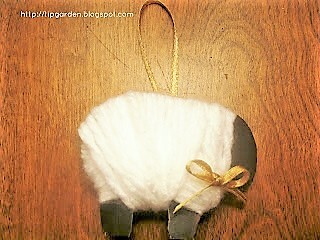 This cute little sheep is a fun one to make with a class. it does take a little bit of practice to get wrapping the yarn around the cardstock body just right, but is easy to do and makes a fun craft for youth or for a night with friends. Great as a little ornament handout for a sunday school class. This quick & easy necklace is great for coworkers, kids, or an easy craft to make with friends or youth! or a make and take party favor! This cute wreath is easy to make and would be perfect for any door or wall that needs a bit of holiday cheer! 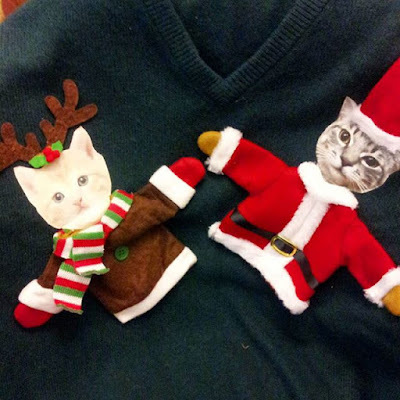 How to Make an Ugly Christmas Sweater on the Cheap! Need a last minute ugly sweater for a party? My kids were always needing one for something! Here are my tips for pulling together great ones they'll have fun wearing , without spending a fortune!